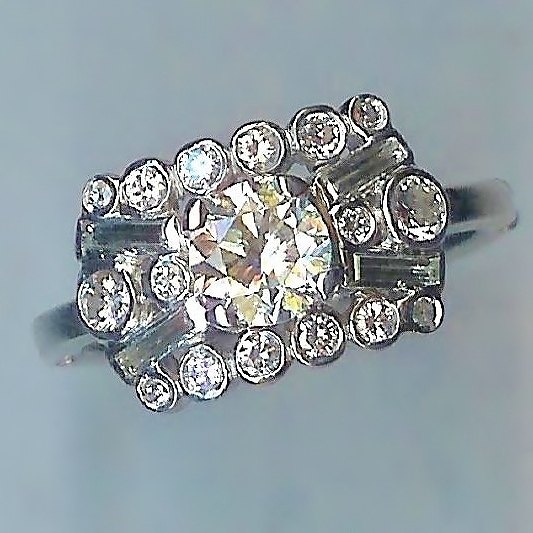 Radiant Diamond Cluster Ring [SH10191] - £2,950.00 : loveVintageDiamonds.com, Your Vintage Diamond Dreams Come True! 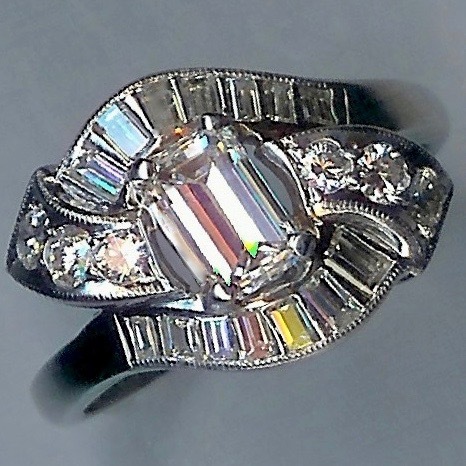 This ring dates to the 1930s-40s. 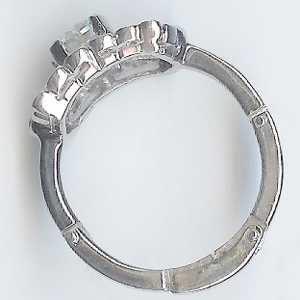 The centre diamond measures approximately 0.85-0.90cts and is set in a four-claw setting. The 16 other mid-cuts, all in collet-settings, vary in size and collectively measure as approximately 0.45cts. 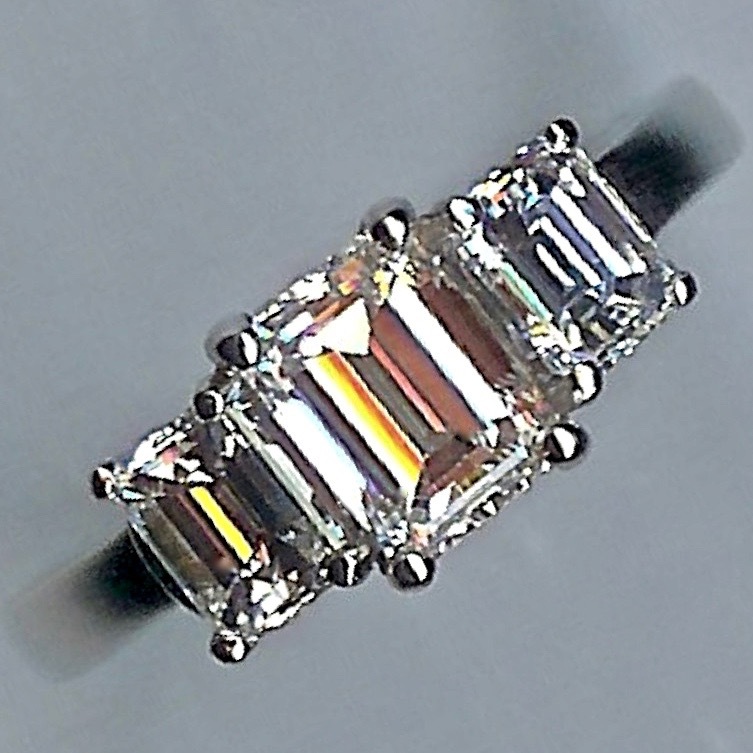 There are a further 4 diamonds which are old baguette cuts and weigh a total of approxiately 0.24cts. 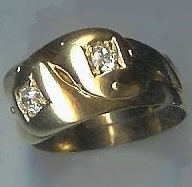 Therefore the total content of diamonds in this ring is no less than 1.50cts, as a conservative estimate. 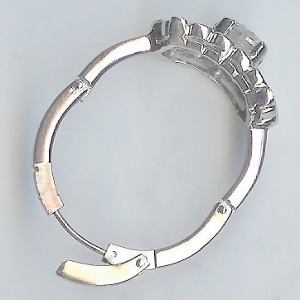 The shank is unusual in that it is hinged to open at the back, so it doesn't have to go over the knuckle, (unless you choose for it to do so). It is nevertheless still very secure. This ring currently fits finger size 'N' (UK). The shank could be changed to a classic style if preferred.